Yeah, so it’s not really 87 steps, 86 at the most. Actually, I think we should be able to get it all done in less than 20. Now, in case you weren’t aware, with the purchase of your Navigator, you get 2 years worth of free updates to the iGo street mapping and you can update as often as you like in that time. Another lesser known feature of the iGo mapping is that you can purchase maps of loads of other countries for it. If you’re driving around somewhere in Europe, why not load up your Navigator and take a device over with you that you’re familiar with. The problem with all this is that, while not difficult, the process is not the easiest and we’ve had quite a few people bring back their Navigators for help and I can totally understand why. 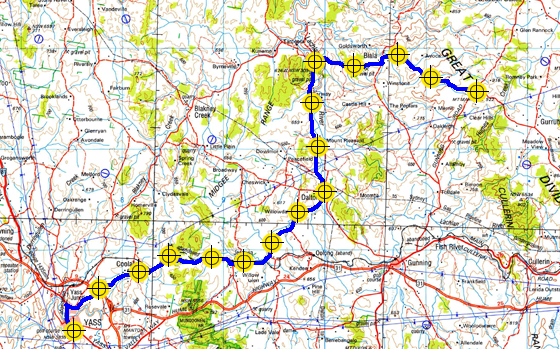 So I thought I’d write a quick guide to try and help you! Read on for a (hopefully easy) step by step guide on how it’s all done. The process for both units is essentially the same, so we’ll just go through this once. The order of these steps is important because some things won’t work until you’ve done other things, so make sure you follow the steps carefully. 1. First thing, make sure the Navigator is off and not connected to the computer. 3. 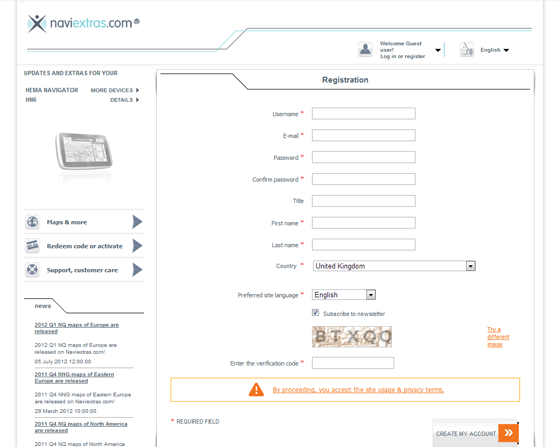 You need to create an account with NaviExtras before you can do anything else, so up the top right of the website, point to the Log in or register button and select Register from the dropdown menu. 4. On the next screen you need to select your device (HN5i or HN6), so start typing hema into the box, this will narrow the options below until only Hema Navigator is available. 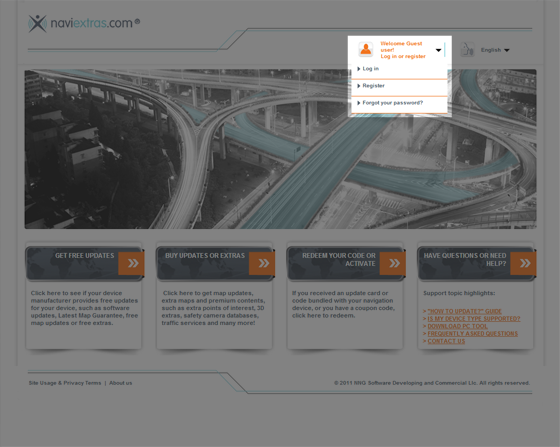 Click on the orange text that says Hema Navigator and choose your model, HN5i or HN6. 5. The next screen will say that you have successfully selected your device, just click the big Continue button. 6. That will bring up the registration page, so fill in all the boxes, making sure you use an email address you have access to because they will send you a confirmation email. Remember your password, because you will need it. When you’re done, hit Create My Account. 7. The next screen will tell you that you have successfully created your account. At this point you will need to verify your email address. They will have sent you an email, so log in to the email account you registered with and click on the link to confirm your address. This will open a page in your browser saying that your email address has been successfully verified and your user account is activated. 8. 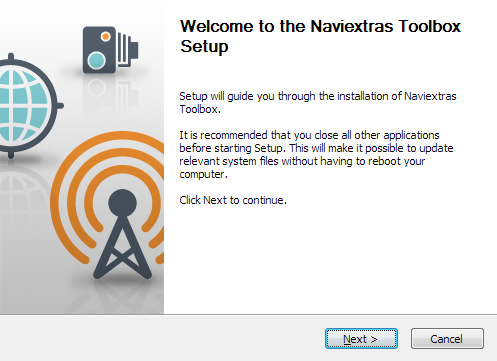 The next step is to download the NaviExtras software to your computer so it can talk to your Navigator. So, go to https://www.naviextras.com/shop/portal/downloads (you can only access this site if you are logged in) and hit Download. 9. Wait for the installer to download and then run it. 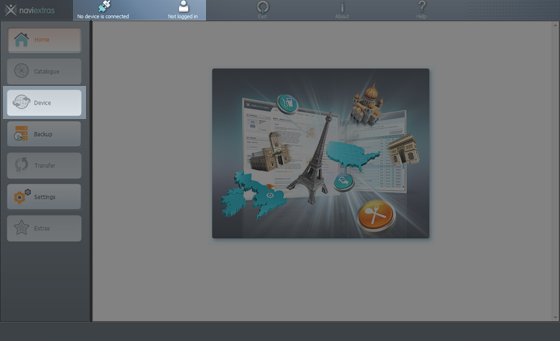 It’ll ask you to choose your language and then it will bring up the setup window. Hit Next, click I Agree to accept the License Agreement (you can read it if you want, but who reads those things? 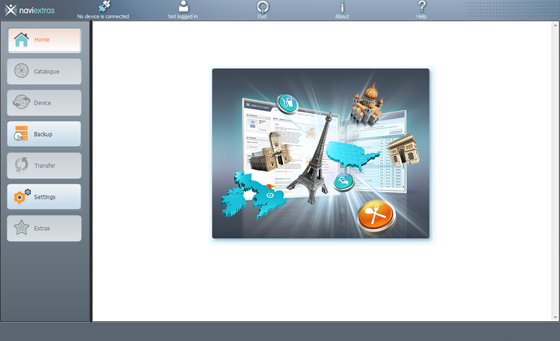 ), then select the destination folder (the default choice is fine for most people) and click Install. 10. 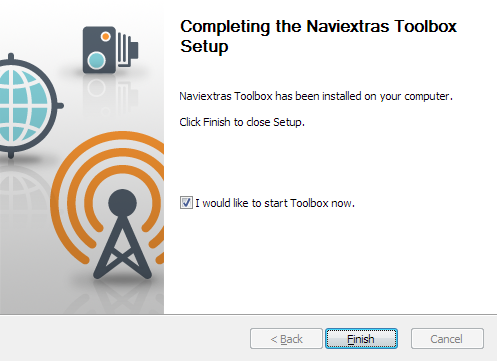 When it’s finished installing, leave I would like to start Toolbox now checked and click finish. This will fire up the program you need to update or buy new maps. 11. Next, and this bit is important so do it in exactly this order, make sure NaviExtras Toolbox is running (if it’s not, there will be a NaviExtras icon on your desktop, go double click on it) and make sure your Navigator is not connected to your computer. 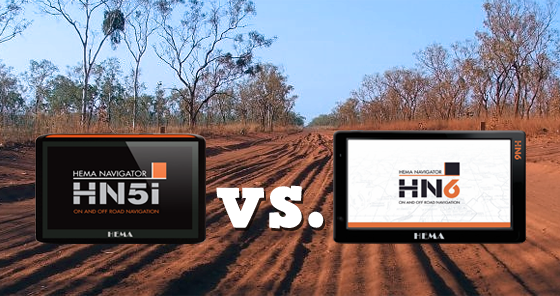 Turn on your Navigator and wait for it to come up with the main menu where you can choose Street, 4WD or Topo for the HN5i and Street or 4WD for the HN6. 12. 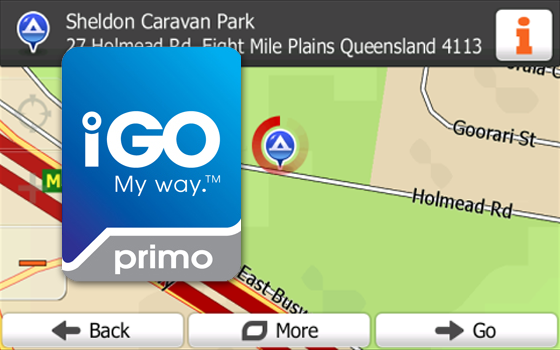 Now, leaving your Navigator on the main menu screen, you can connect it to your computer via the USB cable and your Navigator will come up with a new screen where you can put it into USB Mass Storage mode. I can’t find a screenshot of it, but there’s three buttons and you want the big blue one on the left with the USB symbol on it. 13. You have to wait a bit for Windows to recognise your Navigator, but once it has, NaviExtras Toolbox will automatically discover it. You may or may not need to login here, if you do, it will tell you and just use the email and password you registered with in step 6. 14. 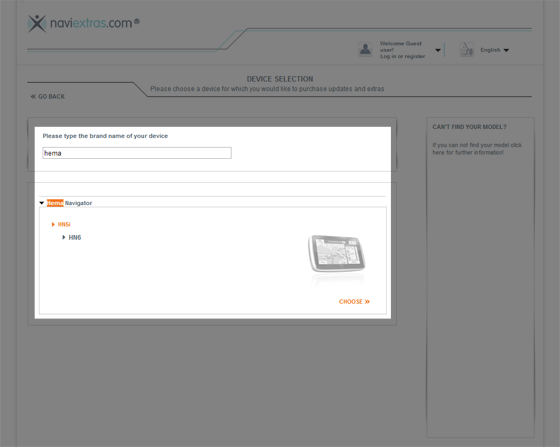 If everything is going according to plan, across the top of the NaviExtras toolbox it will say your device (HN5i or HN6) is connected and have your name next to that. If anything went wrong, just unplug your Navigator, turn it off and repeat from step 11. Once everything is okay, Toolbox will now automatically check if you have any updates available. If there are updates available, the third button down the left of NaviExtras Toolbox will change from Device to Updates, if it says Updates, click it! 15. It might ask you here if you want to backup your data first. It’s up to you if you want to or not, I would imagine that most people would recommend that you do, but it takes a while and I am way too impatient for that! The choice is yours, I take no responsibility! 16. Now you have to wait a bit while it downloads the files and installs them onto your Navigator, don’t turn anything off or unplug anything while this is happening. When it’s done it will say complete and if you’re not buying any other maps, you’re all done! You can unplug everything, close the Toolbox and your Navigator is all ready to go! 17. I don’t have a unit in front of me so I can’t show you screenshots for this bit, but it’s pretty straightforward. With everything still on and connected from the previous steps, hit the Catalogue button on the left-hand side of the NaviExtras Toolbox window. 18. From here you can choose whatever country or countries you want, just have a look around and add anything you want to your cart. Adding an item will open a window showing stuff in your cart, if you want to add more items, just close that window and continue. 19. When all the items you want are in your cart, hit Go to Checkout and follow the on screen steps to enter your credit card details and pay for your items. It can sometimes take a while for it to process your payment, so just be patient. 20. When the payment has been accepted, it should automatically install your purchases onto your Navigator, if not, click transfer or whatever the button says that sounds like that! When it’s done it will say complete and you can unplug everything, close the Toolbox and your Navigator is all ready to go with your shiny new purchases! See! That was nowhere near 87 steps! Hopefully this has been helpful, but as always, if at any point you’re about to put your fist through the screen, bring all your stuff in to the shop and I can help you with it.